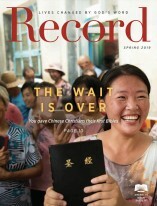 Bringing the comfort of Scripture to Christians in Southeast Asia. Keilana* has spent her life looking after others. As is common in her Hmong culture, she never went to school — only boys got that opportunity. She instead had to stay home and care for her seven siblings. Her culture celebrates shamanism and ancestor worship, and many believe that sickness is a result of bad things happening to the soul. But despite all she’d been taught to believe, Keilana trusted there was another path for her. That’s why, when she was sick and scared, she went to church and heard the Gospel, instead of seeking a shaman to heal her. Keilana’s life changed that day, she recalls through tears. 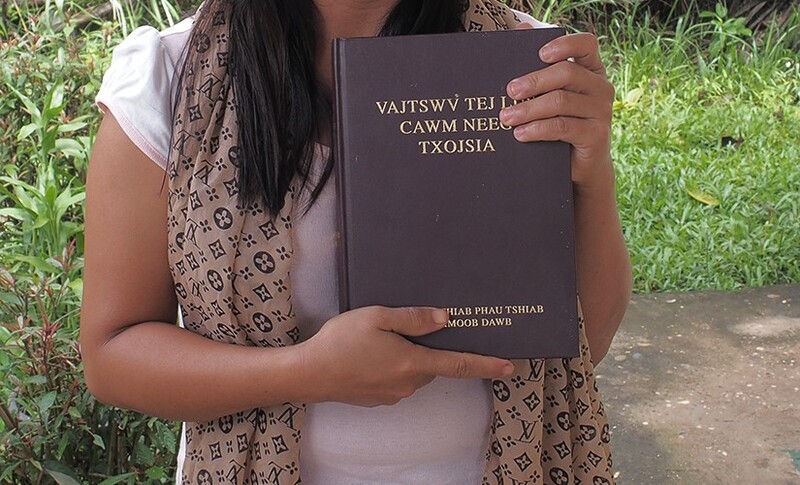 She received a Hmong Bible, provided by American Bible Society’s financial partners, but couldn’t read it. “I would go to sleep clutching the Bible to my heart,” she says. One year after becoming a believer, Keilana became sick again and they worried she might die. But God’s words in Romans 10:9 comforted her: “If you confess that Jesus is Lord and believe that God raised him from death, you will be saved.” These words helped her feel safe in Him, and she prayed every day, eventually getting better. Keilana joined the Bible Society’s literacy class. She’s also becoming a Sunday School teacher. Last year, Keilana was overjoyed when her mother accepted Christ into her heart. Now she prays that the rest of her family will welcome Jesus as their Savior, too. Keilana’s story is a testament to the transforming power of Scripture. We are grateful to our financial partners for making this possible by giving so generously. “I also love to share the Gospel with my friends,” says 12-year-old Huyen.